directions. Having certain tendencies, he must move along their lines to the limit of their potentialities." Updated view of Tiktaalik roseae. In a couple of weeks, students in both my Vertebrate Zoology and Evolution classes will be discussing fossils that demonstrate major transitions in the history of life. There are few more signficant than Tiktaalik roseae, the 375 million year old lobe-finned fish first discovered by Neil Shubin and his group and famously described in Shubin's Your Inner Fish. Tiktaalik has taught us a lot about the movement of vertebrate life from the water to the land, and it's still teaching us. 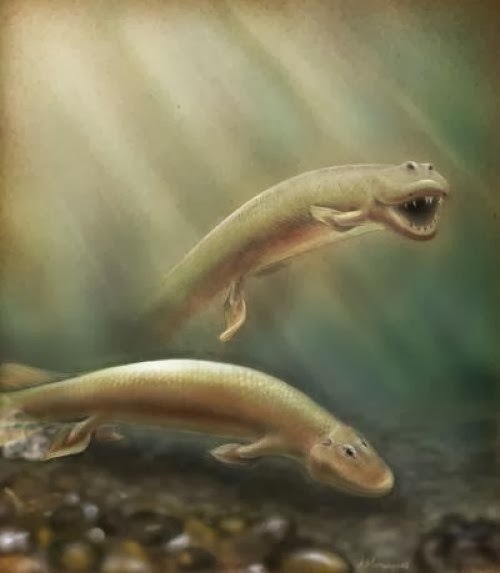 A new study appearing in the Proceedings of the National Academy of Sciences and summarized here at Science Daily describes new Tiktaalik fossils that suggest that a form of "four-wheel drive", employing the pelvic fins for locomotion began in fish, before vertebrate life had actually moved to land. It had been previously believed that the fish had relied primarily on the front limbs to drag themselves along - the detail removed in the new fossils suggest otherwise. They demonstrate a well developed ball-and-socket joint which would have connected to very mobile femur that could be brought underneath the body. The sites of muscle attachment show strength and advanced fin function. It appears that the hind fin was at least as long and highly developed as the forefin. This suggests that, while the fin could certainly have been used as a paddle in swimming, it could also have served in walking. While we're on the subject, I'll share this short video. Many sunfish (in the Family Centrarchidae) also build and guard nests. Often, it's the little males that pull guard duty. 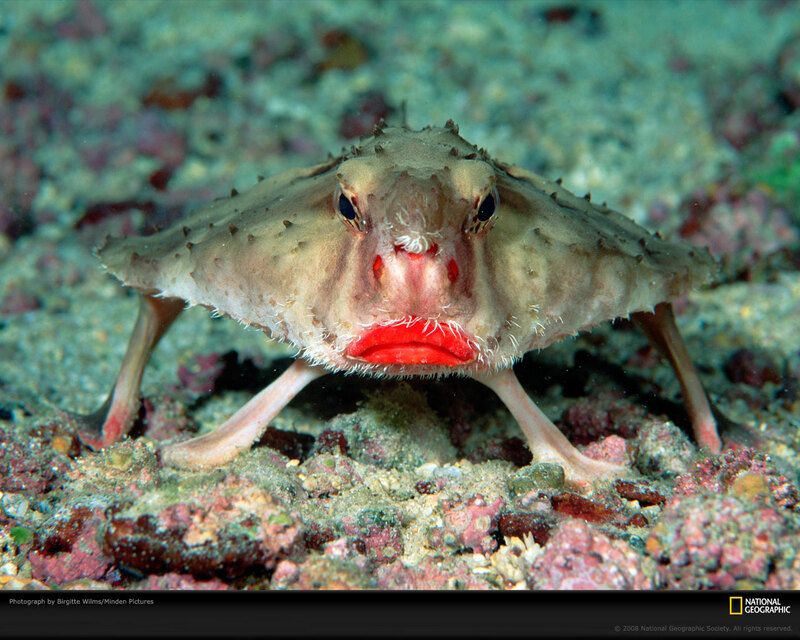 That's the case in the longear sunfish, Lepomis megalotis. While sampling a local stream, we watched this little guy and his buddies working hard guarding eggs from marauding bluegills. The three-spined stickleback, Gasterosteus aculeatus, has been a heavy hitter in ichthyological research for decades. Niko Tinbergen, who would share a Nobel Prize in 1973 with Karl von Frisch and Konrad Lorenz, helped create the field of ethology with his pioneering observations of stickleback courtship behavior. 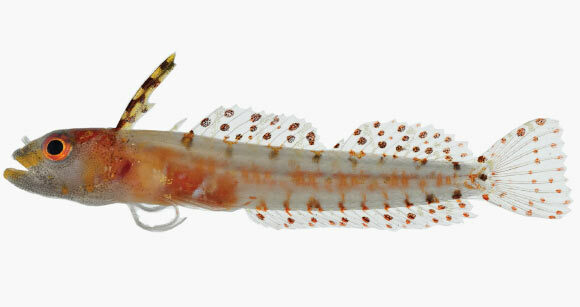 I encountered sticklebacks during my time in Oregon and Alaska, but not since. They're widespread across the Northern Hemisphere, but being coldwater guys they aren't typically found south of North Carolina on the Atlantic Coast. That's too bad - they're great little fish for number of reasons. They show a wealth of morphological diversity, making them ideal for the study of adaptation. 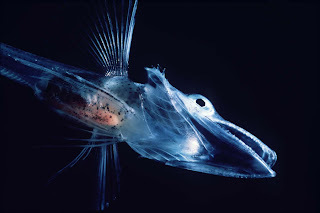 Although they're anadramous, typically spawning in fresh water but maturing in the sea, they can live out their lives in fresh or salt, and show a remarkable ability to deal with a wide range of salinities. It's in their behavior, most notably their spawning behavior, that's been most heavily examined. Males invest a lot of time and energy in buiding nests, to which they entice females and then guard ferociously until the eggs hatch. Well, it appears that European sticklebacks have had a tough spring. Rivers there are swollen from heavy rainfalls, and currents are higher than normal. This means that male sticklebacks there are having to put in extra duty to make sure their nests don't get lost in the flood. The nests are constructed of materials that the fish can find in the river, sand and pieces of plant material. The building materials, though, are cemented together with "spiggin", a glycoprotein glue produced by the male stickleback. Spiggin is produced during the breeding by hormonally-influenced epithelial cells in the kidneys. According to results published in Avian Biology Research, this high-flow year is forcing the fish to produce more spiggin than normal - a task that could potentially draw energy away from other important processes. 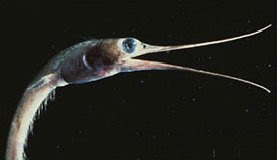 Thus far, the fish seem to be holding their own - another indication of a fish that seems to be a master of adaptation. While we're talking about sticklebacks... Another of their interesting behaviors is the tendency of non-Researchers at the Konrad Lorenz Institute of Ethology offered individual sticklebacks the opportunity to join two schools of fish, one made up of siblings and one made up of unrelated individuals. The sibling group was in some cases made up of familiar fish, and in other cases made up of relatives with which the test fish was unfamiliar. The test fish chose to join the sibling group whether they were familiar with the members or not. 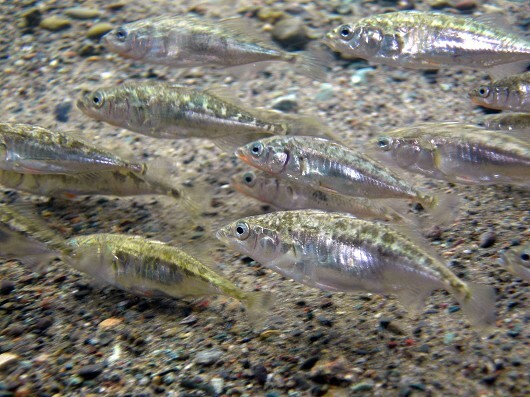 The researchers then extended the experiment, giving the sticklebacks a choice between groups of familiar and unfamiliar relatives. Surprisingly, the test fish showed no preference. In this case, the kin preference is driven by something other than familiarity. breeding fish to gather in groups or shoals. 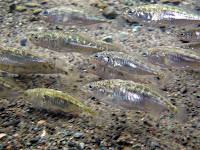 In the formation of these shoals, sticklebacks prefer the company of relatives. The basis for that preference has been uncertain - is it innate based on some sort of olfactory cue that identifies related individuals, or is it developed by interactions during the fish's life history. From Zookeys, this report of a new haptoclinid blenny. 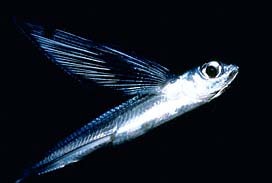 Haptoclinus dropi is tiny, about an inch long, and has the unusual four-sectioned dorsal fin of the other members of the genus. It was discovered in the southern Caribbean at depths of about 160 meters as part of the Smithonian's Deep Reef Observation Project using the manned submersible Curasub. The Curasub, which operates out of Substation Curacao, normally operates carrying tourists to depths of over 300 meters. Time to catch up on a few items on the fish front. A shark in the bush (so to speak) may be significantly more valuable than a shark in the hand. A study published recently in Oryx - The International Journal of Conservation and using data from 70 sites in 45 countries estimates that shark-related ecotourism brings in over $300 million dollars annually, and that the value of the industry may more than double over the next two decades. Contrast that to $630 million, the estimated value of global shark fisheries - and throw in the fact that value of those fisheries steadily declining. The takehome - leave those sharks alone. 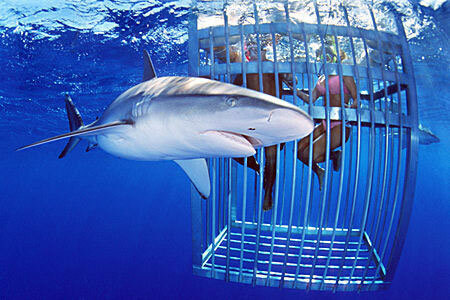 Shark-related tourism in the Caribbean alone leads to over 5,000 jobs and produces over $100 million in revenue. In the new Proceedings of the National Academy of Sciences, we hear about new ideas related to fish camouflage in the open ocean. 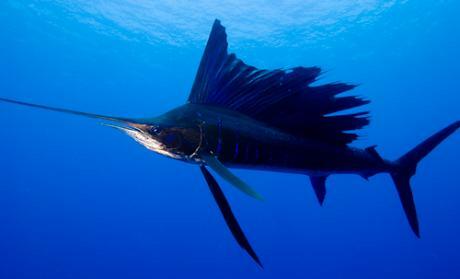 Traditionally, it has been believed that a fish's best strategy in open water has been to make itself less visible by using a mirror effect, reflecting sunlight to allow the prospective predator or prey to blend into the background. New research suggests that this strategy, while effective in some circumstances, does not work well in others. This is particularly true when light penetrating the surface is polarized. Turns out that many fish species are sensitive to polarization, and the the nature of polarized light is constantly changing. This means that a mirror strategy won't always be the most effective camouflage. 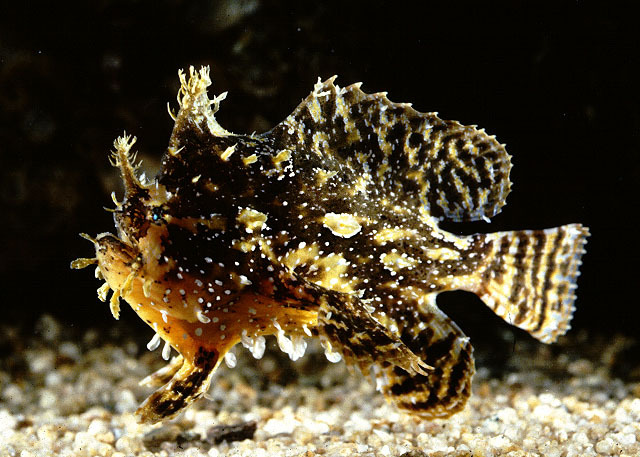 The authors of the PNAS paper observed lookdowns (Selene vomer), and found that the fish were able to change the way in which light reflected from their bodies in a manner that approached the optimum with regard to camouflaging themselves. In some light situations, that meant acting like a simple manner. At other times, the reflected light was altered so as to make the fish less visible in a polarized environment. It's unclear if the process is passive, with the skin of the fish responding to the available light, or if the fish or somehow activity changing the way light is reflected. In the Prehistoric Fish o'the Day category, a paper appearing in Geodiversitas describes a new species of acanthodian which lived during the Devonian some 408 mya. 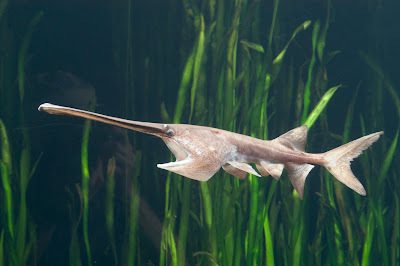 The fossils, discovered in Eastern Spain, are mainly from juveniles with none from fish larger than a meter in length. 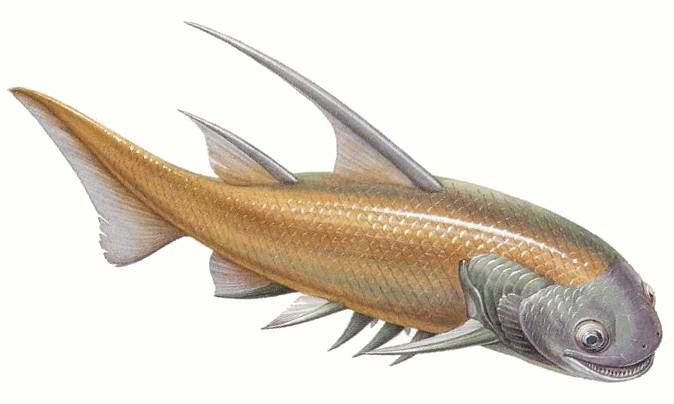 The acanthodians, sometimes referred to as "spiny sharks", were among the first of the jawed vertebrates. They were characterized by a series of stout spines in front of all the fins. 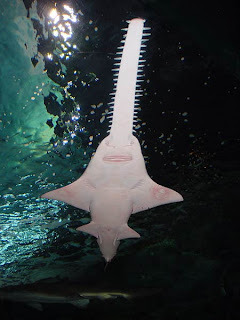 Many of the early acanthodians had two rows of paired ventral fins. This makes them particulary interesting to students of vertebrate evolution, as the rows of fins have been suggested (through the fin-fold theory) to have paved the way for the evolution of paired fins and, ultimately, limbs. There are lots of different things that we call "fish", and they belong to lots of different taxonomic groups. I mean, hagFISH aren't even considered vertebrates any longer. Still, all of the 28,000 or so species that we refer to as fish all have some basic similarities, likely due to the unforgiving nature of the aquatic realm. You can't be evolutionarily sloppy and function well in the water. However, within the basic fish template, there's still room for a lot of diversity. This week in Fish Biology, we'll be discussing body forms, the many ways that the basic fish design has been molded to better function in a specific role. Regardless, here's a teaser. Scientific binomials, so as not to give anything away in the common names. ...or the misshapen fins of Histrio histrio? ...or pretty much anything about Ogcocephalus darwini? Why does Chaenocephalus have yellow blood? And, finally, what in blue blazes is going on with Macropinna microstoma? There's been a lot written in recent years about the plight of the world's fisheries. Many of them are in real trouble as the result of overfishing. One result has been a shift toward reliance on invertebrates like prawns, lobsters, and mollusks. New research from the Environment Department at York suggests that these new, shellfish-dependent fisheries, may be subject to collapse with increasing stress from climate change. The authors, in a paper appearing in Fish and Fisheries, suggest that it's imperative that we continue to work toward restoring the health of finfish based fisheries, and stress the need to marine protected areas to allow the restoration of diversity and productivity.